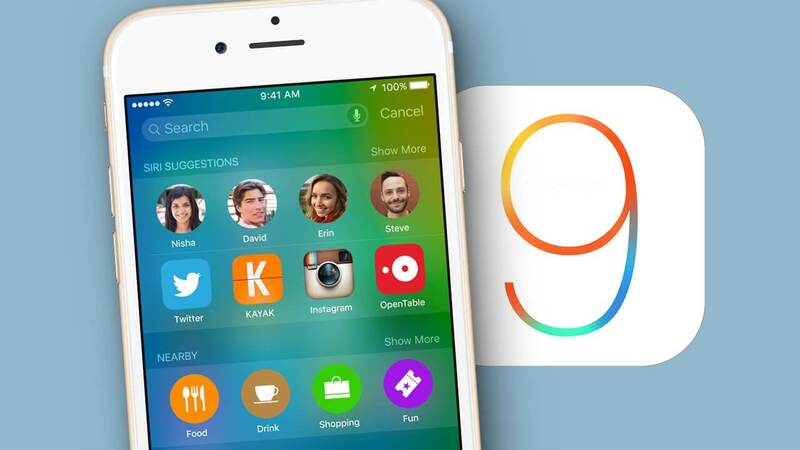 Should I install the iOS 9 update on Apple smartphones and tablets? In recent years, the iOS operating system has gained a reputation for having a large number of flaws. In this regard, many users are in no hurry to upgrade to new versions of the operating system before it is tested and improved. In September, 2015, the iOS 9 update, it became possible to download to all owners of iPhone and other Apple equipment, however, many are still wondering whether to upgrade devices to the new version of iOS. The update does not require much space in the memory of the smartphone. The previous version of iOS, when installed, needed 5 GB of free space on the iPhone, but Apple found a way out by removing the user applications that are large in weight before installation. After the upgrade, they are all restored to their previous form. The new version of iOS has a new API called Metal. The essence of this API is that it improves the performance of the iPhone and iPad through better use of their processors and graphics accelerators. It is worth noting that in the iOS 9 update, Apple has changed the appearance of standard applications, as well as improved their functionality. For example, in the maps you can find the mode of laying the route using public transport. The news application has learned to personalize the displayed information, so the user will receive only interesting news. In tablets iPad update The operating system adds a multitasking feature that has three modes. In the first mode, the main application occupies almost the entire screen area, and the second is displayed only as a widget. The second mode allows you to turn on two applications at once, which will occupy half of the screen. The mode "picture in picture" displays one program in another. It should be used if you need to simultaneously work with the document and watch the video. Unfortunately, this feature is only available for iPad owners, because iPhone smartphones have too small screens to fit several applications on them simultaneously. In iOS 9, you can also find an improved power saving feature. It appeared low power mode, when turned on, which disables many background processes, as well as reducing the overall performance of the smartphone. This adds a few hours of autonomy to the smartphone. Integrated search engine Spotlight has acquired the function of deep search. This means that with the iOS update, 9 Spotlight can learn information that is in applications. Many owners are interested in whether they should upgrade the operating system iOS 9 on older devices, for example, iPhone 4S. On the one hand, the update will bring new features and capabilities to the device. Do not forget that over time, new applications will require only new versions of the operating system. Nevertheless, each update is becoming more and more demanding on the “hardware” of the old iPhone and iPad. This entails a drop in device performance, which is manifested in a slower opening of applications and freezes..
Appsgames⟾Miscellaneous⟾Should I install the iOS 9 update on Apple smartphones and tablets?